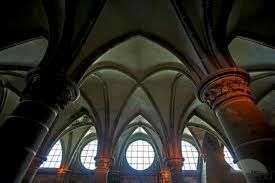 Or maybe it should be Flying Buttresses because the stitch slants both to the left and to the right. 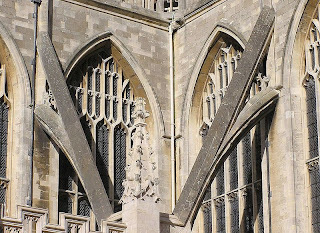 Flying Buttresses are, of course, those huge supports in Medieval architecture that keep the walls of stone cathedrals upright even though their roofs may collapse. 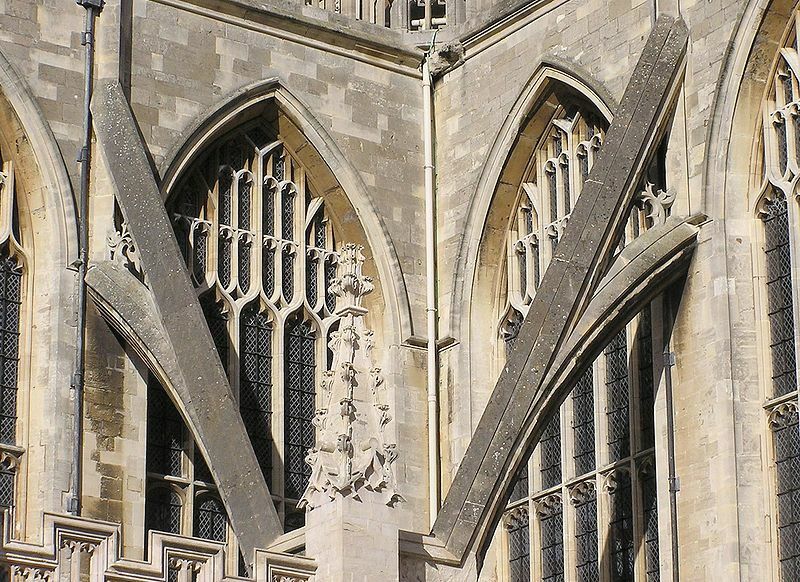 Here is an example of right slanting and left slanting flying buttresses supporting Bath Cathedral in England. The picture and details are from Wikipedia. And here are the knitting equivalents - both are simple cable stitches, which could easily be over looked. However when you put all this history behind them, so to speak, they take on a new life. Here are my photo equivalents. I was at Ikea yesterday - a place of worship for some - and couldn't help noticing the grid work supporting a covered walkway. 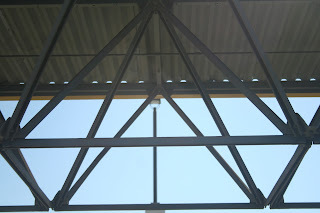 I took some pictures of the shadows cast by the structure and with a little imagination we have Flying Buttress. I know I should reverse the photos - just too tricky in Blogger - sorry. Suddenly knitting stitches and utilitarian metal structures have come together in a "medieval moment." So much is in a name. 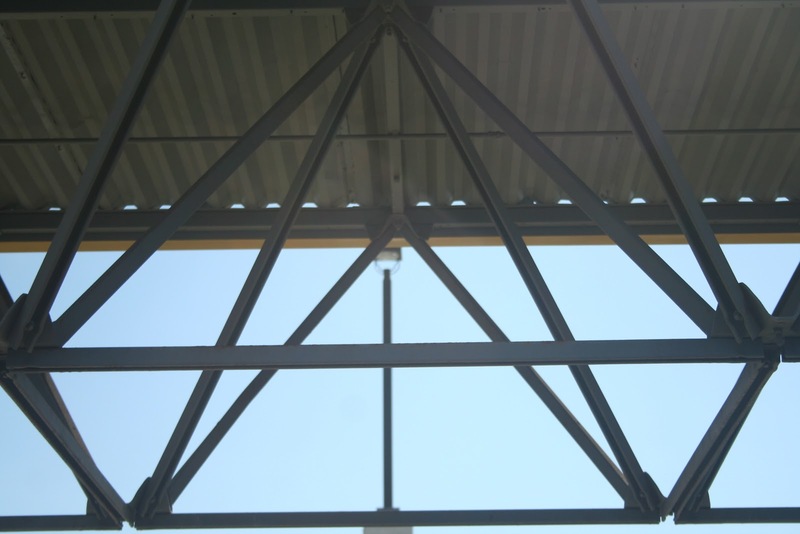 Had these cables been named - right slanting diagonal and left slanting diagonal - much would have been lost. A lot of life is finding the romance within the mundane, transforming an ordinary mid-week meal into a banquet by using the "good" china or fancy napkins. Finding a cathedral at Ikea or an oasis at the Second Cup. Please post your "discoveries." I think that the Flying Buttress stitch on either side of another rich aran pattern could create a superb sweater. Here is the vaulted ceiling....err covered walkway at Ikea.